Which Statement Best Describes Your Interest in Personal Trainers? Want to Become a Personal Trainer? 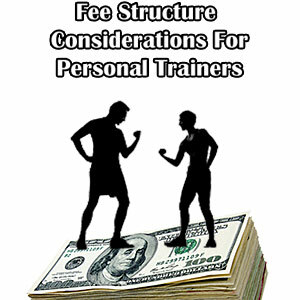 | Want to Possibly Hire a Personal Trainer? If any of the following statements apply to you, this personal training guide is going to answer many of your questions. I am thinking of hiring a trainer but have no idea what to expect. I am looking to hire a personal trainer locally at a gym or private fitness center. I want to learn more about online personal training. I need to figure out how to find a personal trainer in my area. I have no idea how I can accomplish my fitness goals. I am training with a trainer and I’m not accomplishing my goals. I don’t want just any personal trainer, I want to choose the perfect fit. I’m looking for an online resource for exercising with a personal trainer. I don’t know what realistic goals would be for my situation. Don’t make the mistake of blindly choosing any personal trainer. Use this comprehensive 5-step guide which details the entire process of properly hiring and working with a personal trainer. Regardless of whether you choose to train with a personal trainer in person or online, make sure to follow the whole process of this personal training guide. By using this step-by-step personal training guide you are far more likely to achieve your fitness goals than if you randomly choose the first personal trainer you see in a classified ad or at your gym. Before you even think of looking for a personal trainer it is essential that you sit down and think of what you want to accomplish. You must dig deeper than your simple aesthetic physical fitness goals and also think of the monetary concerns of working with a personal trainer. There are many ways to find personal trainers but once you find them then what? Learn the specific criteria which you can use to find the best and weed out the rest. Once you have found personal trainers which you think have the best chance to fulfilling your needs it its time to meet with them. 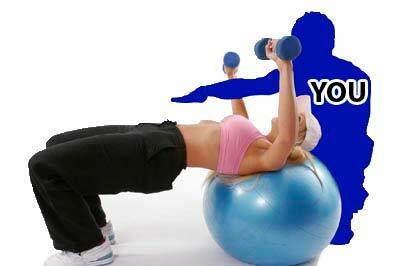 Rather than leaving everything up to chance you can prepare for your consolation to get all the information possible to make a proper choice for your personal trainer. Learn what working out with a personal trainer is like as well as an overview of the benefits, keys to success and the important red flags of poor personal trainers. Find out which assessments you will be performing with your personal trainer at the beginning, during at at the end of your personal training sessions. What qualities should you look for when choosing a Personal Trainer? Checkout these key tips for hiring a personal trainer. What to look for and what not to look for. Find expert personal trainers from all over the United States. Simply browse by your state and find some of the most qualified personal trainers. If you already used the AskTheTrainer.com personal training guide and have made up your mind that you will not spend a dime to get one-on-one help from a personal fitness trainer this page will guide you through step-by-step as about how to use AskTheTrainer.com as a free online personal trainer. If by reading the personal training guide you think online personal training is the right thing for you specific situation this is where you can learn the benefits you will receive when one of our personal trainers writes you a personal workout program. Once you’re done going through the entire personal training guide and you have determined that online personal training is the route you want to take to accomplish your health and fitness goals you are ready to find a personal trainer who best fits your goals. Watch exercise videos of client working with personal trainers. 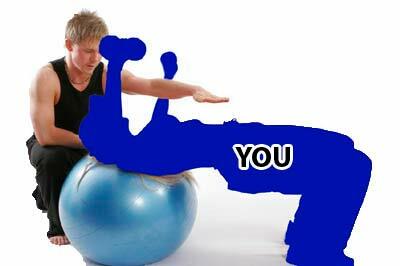 All you have to do is click on a body part and you will get all the exercises for the associated muscles. 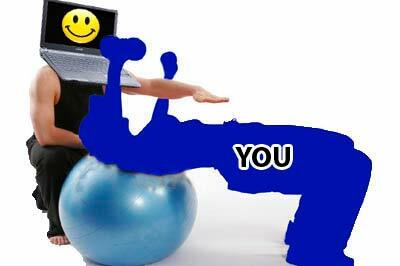 You can also click on exercise equipment to find the associated exercises. What personal training guide would be complete without simplified information about your entire body and how it functions. Click on an anatomy chart and find information, diagrams, charts, exercise videos and more. Men and women get a realistic estimate of your body composition as well as learn how much work you are likely to put in exercising with a personal trainer and more. 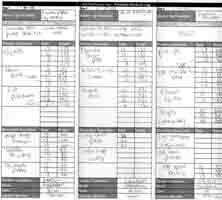 These charts and sheet if used properly will help you exercise with the correct intensity, track your progress, and get a rough estimate of how long it will take to achieve your desired results. Print out these chart to allow your clients to visually see what a drop in body fat will look to get them away from thinking about largely insignificant scale weight. A valuable tool for personal trainers as they help explaining the fitness program to the client. Simple colorful charts with acceptable ranges of body fat percentages differentiating via 9 different age groups and 4 different categories for men and women. Easily explain exercise intensity and cardio zones to clients with a Rate of Perceived Exertion chart. Print out sheets for your daily cardiovascular and weight training. Fill them out while you work on your own and bring them into your personal training consultation if you decide to start working with a personal trainer. ExRX.net is a vast resource for personal trainers and people looking for fitness information such as yourself. ExRx.net can be a little complicated so it may take some sifting through kinesiologically terminology to get the information you are looking for. GetBodySmart.com is a great anatomy & physiology tool which has great looking, easy to understand interactive visuals. Fitness.com is a “global fitness community” where you can find a wealth of information alongside immense discussion forums. No personal training guide can be complete without the National Library of Medicine’s journal database. While you may get confused with a lot of unfamiliar terminology, the abstracts usually provide the answer that you are looking for.